Though they are tiny little critters, there is just something unsettling about sharing a home or office with (potentially) tens or even hundreds of little mice running through the walls. Mice love small seeds and nuts. One trick for catching very small mice is to use a dollop of peanut butter in the bait section, then place a seed in the middle. Luckily, thanks to modern technology, we have incredible mouse trap solutions available to trap these mice (humanely or otherwise) and dispose of them as we see fit. We also want to use the best mouse trap bait available or even the most perfectly designed piece of technology will not produce any results whatsoever. Are You Smarter Than The Average Mouse? 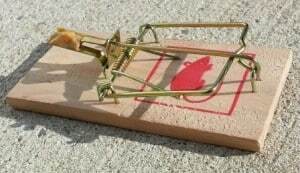 What To Do If Your Mouse Trap Bait Is Not Working. A Few Important Things To Consider When Setting Up Mouse Traps With Bait. Hopefully, you can use the information below to select the best mouse trap bait for the mice currently invading your home. You will also learn some tricks to use the bait effectively when you come across those few little guys that like to steal your bait without setting off the trap. 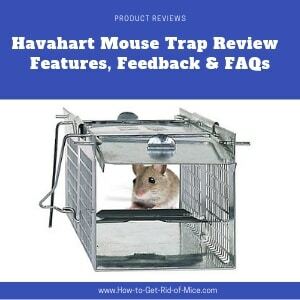 Before we start to dive headfirst into the world of choosing the best mouse trap bait, you should understand just how smart, crafty, and instinctive mice are. With amazing hearing, vision, and a sense of smell and touch that is far beyond what most people would have anticipated, trapping mice can be a challenge. You need to be able to outsmart the mice in your home to get rid of them for good. Mice are highly intelligent. They may react differently to different types of mouse trap bait. According to the experts at Victor Pest Control (a premier multinational pest-control service), it’s important that you use the best bait for your particular mouse trap situation. You should try different bait solutions until you find the best mouse trap bait for your particular “infestation”. You are going to want to do absolutely everything you can to use the best mouse trap technology along with the best mouse trap best to outsmart these little critters. Otherwise, you are going to find that the trap is empty and that even though right mouse trap bait is not enough to capture them. 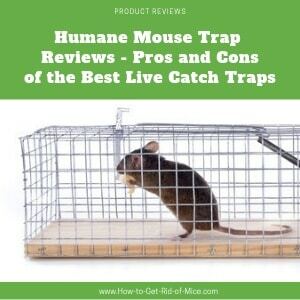 Searching for the very best mouse trap bait on the planet? 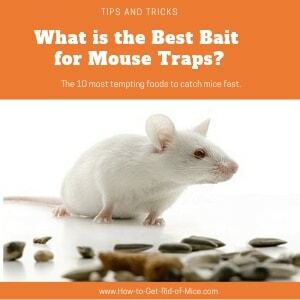 Here are top ten choices of mouse trap bait that will work to catch that mouse. Bacon bits that you have cooked up yourself or even raw – not the ones from a jar or can. Bacon grease can also work well. When selecting a type of mouse bait, look for strong smelling food bits that will draw the mouse into your trap. Foods high in fat or protein are good choices. Mice also have a sweet tooth, so sweet sticky candy or chocolate is a very effective mouse bait. If you are using one variety of mouse trap bait and begin to notice that the efficiency is wearing off, be prepared to switch it up. Experiment with another variety of bait for mice in your mouse trap. You may need to try out another style of mouse trap. There are many different varieties of effective mouse traps. It is always a smart idea to try more than one. If you find the mouse trap bait is gone, but the trap did not snap, the trigger may not be sensitive enough. Place a small amount of sticky or gooey mouse trap bait like peanut butter in the bait station. Then push a nut or other tidbit in the middle of the peanut butter. This forces the mouse to stop on the platform & apply more pressure to the trigger while removing the nut. This method will prevent the mouse from just grabbing your mouse bait and running away to safety. You may also need to select a trap that has a highly sensitive sensor to detect when the mouse is present. You may have baby mice that don’t weight enough to trigger the trap’s snapping mechanism. Electric mousetraps are more sensitive than some of the snap traps. The Victor electronic mouse trap is known to have a very sensitive sensing circuit while being an affordable type of reusable mouse trap. They recommend a high-protein bait for best results. Location is important! Place the traps in the “high traffic” areas, close to where they sleep. The first few times that you set up your mouse traps, you’ll want to keep the traps in the same localized area. 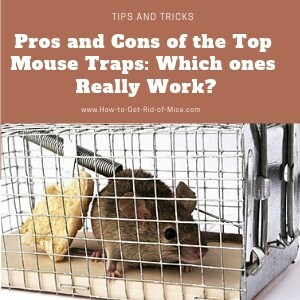 Really try to hit those “high traffic” spots close to where the mice are living with the majority of your traps. You can also set a few along their pathways to and from their nesting zone. This is almost always going to be along countertops, baseboards, and in cupboards. Make sure that everyone is aware that you have set up traps so they do not find any “surprises” when they’re moving things around in the kitchen or bedroom. Trying to figure out exactly what is the best bait for mouse traps can be difficult, especially if you are not getting the results you wanted. However, using the insider information above – as well as some good old-fashioned common sense – you should have no trouble getting great results and getting rid of mice fast. The best bait for mouse traps will always need to be adjusted based on your unique situation, but any of the options described above should be more than enough to get you started!